Creamy cheddar cheese sauce. No preservatives. Stouffer's Dinner Club: Join today! Get your code inside this box. 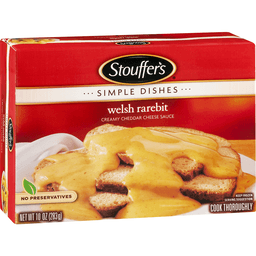 Join online at www.stouffers.com. Collect points and earn fabulous rewards! US residents only, internet required, see full terms at stouffers.com. Good food, good life. Good Question: What is Welsh Rarebit? Good to Know: Welsh Rarebit is a savory sauce of melted cheese and other ingredients that is usually served over toast. This Stouffer's sauce has 0 g trans fat per serving. Good to Remember: Stouffer's is supported by the Nestle Research Center, one of the world's leading centers for nutrition, health and wellness. Good to Talk: stouffers.com. nestleusa.com. 1-800-225-1180. Facebook. Twitter. See what's cooking online. Please recycle this carton. This carton meets the Standards of Sustainable Forestry Initiative. Certified fiber sourcing. www.sfiprogram.org. Tender white meat chicken with white rice, carrots, peas and onions - all topped with an insanely tasty tikka masala sauce. Chicken raised without antibiotics. Gluten free. 15 g protein. 4 g fiber. Inspected for wholesomeness by US Department of Agriculture. 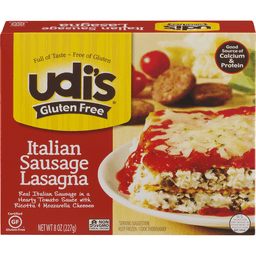 Certified gluten-free by the Gluten Free Certification Organization. Love What You Eat: We make real food with simple, easy to recognize ingredients and big taste. We care about where our ingredients come from and how they are produced - because every eating experience should feel good and be worth sharing. Go ahead, love what you eat! evolfoods.com. Facebook. Twitter. Meet Our Chicken: Our chicken is raised with care by US family farmers, never given any antibiotics and fed a vegetarian diet. Please recycle. This carton is made from recycled paper board with a minimum of 35% post consumer recycled content. boulderbrands.com. 3 Points: Collect points and redeem for Evol gear. Visit evolfoods.com to find out how. When corresponding about this product, please include the best by. 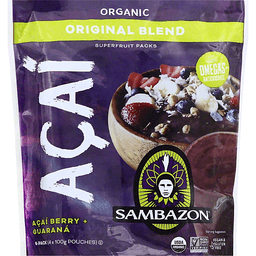 Sambazon® Acai Original Blend Superfruit Packs Acai Berry + Guarana. Organic. With - healthy - omegas + antioxidants. USDA Organic. Vegan & gluten free. 4-Pack (4 x 100g pouches). Acai is a delicious purple berry that grows on the banks of the Amazon. Long treasured by natives for its restorative powers, Acai is widely considered to be one of the healthiest foods on the planet. We harvest our Acai sustainably, in ways that nurture and enrich the Amazon. Which means it's not only good for you, it's good for our planet. So blend a bowl or smoothie and chill out, Brazilian style. Organic + Gluten-free + Vegan + Enjoy in smoothies, bowls and frozen pops. 100% Authentic with healthy omegas antioxidants. Born of the Amazon. Non-GMO Project Verified. nongmoproject.org. Eat 'EM straight: Simply open and enjoy as a frozen pop - does it get any easier For more recipes visit our website. Fair trade approved by Ecocert Environment according to ESR standards available at www.ecocert.com. Certified organic by QAI. Call: 1-877-726-2296. Visit: www.sambazon.com. Grilled white meat chicken with freshly-made whole grain angel hair pasta & vegetables in a fire roasted basil tomato sauce. Made with whole grain pasta. No preservatives. Per Meal: 240 calories; 1.5 g sat fat (8% DV); 550 mg sodium (23% DV); 3 g sugars; 17 g protein (26% DV). Inspected for wholesomeness by US Department of Agriculture. While many factors affect heart disease, diets low in saturated fat and cholesterol may reduce the risk of this disease. Fresh taste unlocked by steam. 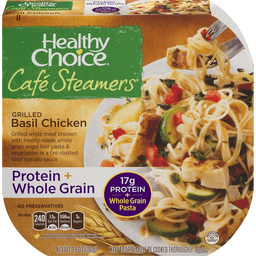 Expect fresh taste in every Healthy Choice Cafe Steamer. Our unique dual steaming tray with food on the top and sauce on the bottom unlocks the rich and vibrant flavor of each quality ingredient. Learn more at healthychoice.com. 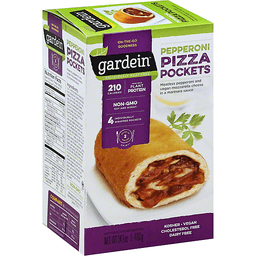 Weight Watchers PointsPlus Value: 6 (the PointPlus value for this produce was calculated by ConAgra Foods, and is provided for informational purposes only. This is not an endorsement, sponsorship or approval of this product or its manufacturer by Weight Watchers International, Inc., the owners of the Weight Watchers and PointPlus registered trademarks). Diet Exchanges (Diet Exchanges are based on Choose Your Foods; Exchange lists for diabetes, by the American Diabetes Assoc., Inc. and the Academy of Nutrition and Dietetics) Per Serving: 2 starch; 1 vegetable; 1/2 fat; 2 lean meat. how2recycle.info. Child Hunger Ends Here: Get Involved; go to ChildHungerEndsHere.com. Questions or comments, visit us at www.healthychoice.com or call Mon. - Fri., 9:00 AM-7:00PM (CST), 1-800-323-9980 (except national holidays). Please have entire package available when you call so we may gather information off the label. Try the simply difference. Nothing artificial, 100% natural. 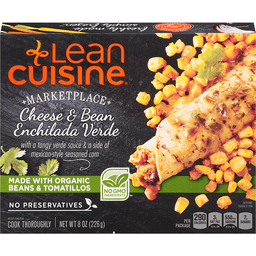 Lean Cuisine® Marketplace Cheese & Bean Enchilada Verde. With a tangy verde sauce & a side of Mexican-style seasoned corn. Made with organic beans & tomatillos. Per package. 290 calories. 3g Sat fat, 15% DV. 550mg Sodium, 23% DV. 7g sugars. Net wt 8 oz (226g). Nestle® - Good food, Good life®. Thoughtful Portion™: 1 Portion = 1 Dish. For a balanced menu, enjoy with a piece of fruit and a glass of low-fat milk. The real deal: "This dish is prepared and then frozen immediately. We don't add any artificial flavors when we make or freeze this dish." Roasted red pepper. Organic sweet corn. Organic tomatillos, Black beans. Cilantro. A dash of oregano. Hand folded, stone ground corn tortillas. Nutritional Compass®. No GMO ingredients™. Certified Organic by Oregon Tilth. Please recycle this carton. All trademarks are owned by Societe des Produits Nestle S.A., Vevey, Switzerland, or used with permission. Lean on us. If you want to hear more about our ingredients or have any Questions, please Text or Call us at 1-800-993-8625. Visit www.leancuisine.com or www.nestleusa.com. 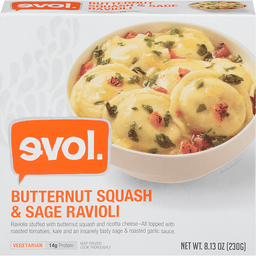 Evol Butternut Squash & Sage Ravioli. Raviolis stuffed with butternut squash and ricotta cheese-all topped with roasted tomatoes, kale and an insanely tasty sage & roasted garlic sauce. Vegetarian. 14g Protein. Evol, street tacos. Evol, cilantro lime chicken. Evol, fire grilled steak quesadillas. Evol, chicken big burrito. Evol, teriyaki chicken. Evol, sausage egg white & cheddar. 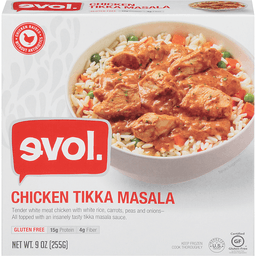 Evol, chicken tikka masala. Evol, egg & smoked gouda. Love what you eat. We make real food with simple, easy to recognize ingredients and big taste. We care about where our ingredients come from and how they are produced - because every eating experience should feel good and be worth sharing. Go ahead, Love what you eat! evolfoods.com. Meet our ravioli. Our delicious raviolis are stuffed with a blend of sweet butternut squash and rich ricotta cheese. The pasta is dusted with a perfect accent of nutmeg that brings it all together. It's pure deliciousness! Please recycle. This carton is made from recycled paper board with a minimum of 35% post consumer recycled content. Phil's Fresh foods, LLC A Boulder Brands Company. 201-421-3970. evolfoods.com. boulderbrands.com. ©2014 Phil's Fresh Foods, LLC. Blake's Shepherd's Pie. Since 1929. Made with organic corn and organic mashed potatoes. Gluten free. Beef raised without antibiotics**. U.S. inspected and passed by department of agriculture EST. 4729. Net wt 8oz (227g). Inspired by: Blake (5th Generation.) All natural foods. Made just for you. Love, Grandma. Great Grandma Clara Blake's heirloom family recipes have been handed down for four generations. 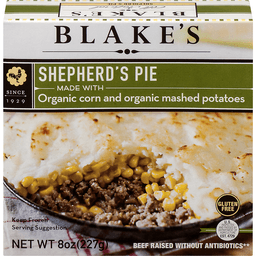 Just like Clara's original recipe, our Shepherd's Pie features lots of moist ground beef and organic corn, then topped with freshly made organic mashed potatoes. For years we've been making our Shepherd's Pie for our own family; now it only seems natural for us to be making them for yours. Every Blake's meal is made completely from scratch in small batches using the finest organic and natural* ingredients. So leave the cooking to us and enjoy some time with the ones you love. No antibiotics used**. 0 grams trans fat. No artificial flavors. No animal by-products. No artificial colors. No preservatives. No artificial ingredients. **Beef raised without antibiotics or animal by-products. Certified organic by NH Dept. of Agriculture, Markets and Food. blakesallnatural.com. Tender braised beef with yellow and roasted red peppers glazed in a flavorful red wine reduction with gold potatoes. Since 1865. 12 minutes. Skillet prepared. US inspected and passed by Department of Agriculture. Serves two. 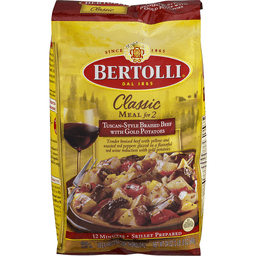 Bertolli Classic Italian Style Meals for Two offer a complete menu inspired by fine restaurants in Italy in the comfort of your own home. Quality cuts of meat, chicken or succulent shrimp paired with crisp vegetables and delicious pasta or potatoes complete our recipes. Now you never have to go out to enjoy great Italian any night of the week! A mouth-watering dish to be truly savored. Tender beef slowly braised in a flavorful red wine reduction with roasted red peppers, yellow peppers and onions, that are then perfectly paired with gold potatoes. This dish promises to become one of your favorites! Suggested Wine Pairing: Petite Sirah. Try our additional authentic Italian recipes. Visit us at: www.villabertolli.com. Bertolli has been at the heart of Italian style cooking and eating for over 145 years. Since it began in Lucca, Tuscany in 1865, Bertolli has been producing premium quality food with passion and care. Questions or comments, visit us at www.villabertolli.com or call Mon-Fri., 9:00 am - 7:00 pm (CST), 1-800-418-2302 (except national holidays). Please have entire package available when you call so we may gather information off the label. With homestyle mashed potatoes & gravy. 24 g of protein. Inspected for wholesomeness by US Department of Agriculture. The beautiful foods company. We'd love to hear from you! 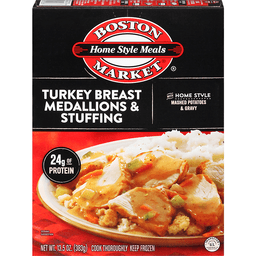 Call us at 1-855-871-9977 (M-F) or visit www.BostonMarketatHome.com. Natural Sea™ Premium Cod Fillets with Multigrain Breading. Sticks. Omega-3 sustainably caught. You'll love these cut from 100% cod. Pure. Wild. Seafood. Ocean friendly. Excellent source of protein. Natural Omega-3s: 60mg of Omega-3 fatty acids per serving. MSC - Certified Sustainable Seafood. Net Wt. 8 oz (227g). 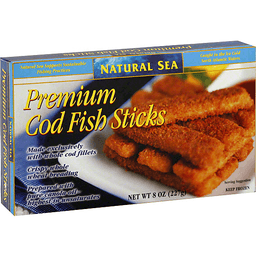 These delicious, mild and flaky Natural Sea™ Premium Cod Sticks contain no fillers, no hydrogenated oils, or preservatives. They are sustainably caught and cut from 100% cod, containing natural Omega-3s. Lightly encrusted with our multigrain breading, these Premium Cod Sticks are crispy, tasty, and ready in under 20 minutes. Enjoy! Ocean Friendly: Caught from an MSC certified sustainable fishery. 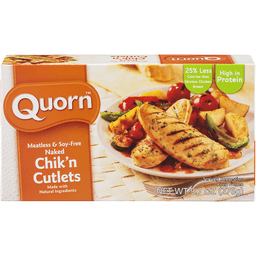 Excellent source of protein: 10g of protein per serving. No fillers. No preservatives. Natural sea proudly supports sustainable fishing practices. Please recycle. For a full selection of sustainable seafood, visit us at www.naturalsea.com. © 2013 Natural Sea. 1 serving. Gluten free. No soy. No corn. None of the gluten. All of the flavor - simply amazing! 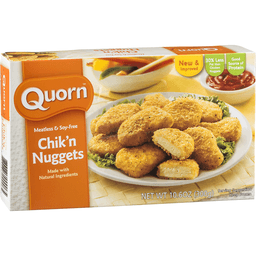 Our chicken is all natural, minimally processed, with no artificial ingredients. This product is tested lower than required by the FDA at 3 parts per million, certified by GFS Laboratories International, www.glutenfreecertification.services. 3PPM: Certified Gluten Free: GFS Laboratories. Inspected for wholesomeness by US Department of Agriculture. This could be the best chicken pot pie you will ever try, chock full of perfectly seasoned tender white chicken, peas, potatoes, carrots and just the right amount of savory sauce. All of the flavor, none of the gluten. Visit our website for more info: GeeFreeFoods.com. Made in the USA. Grilled sirloin beef seasoned with rosemary served with roasted sweet potatoes, onions and brussels sprouts. Made with real ingredients you can pronounce. Made with real grileld sirloin beef. Made with roasted sweet potatoes for extra flavor. US inspected and passed by Department of Agriculture. 270 calories; 8 g fat; 5 g fiber; 17 g protein. Made like you make it. 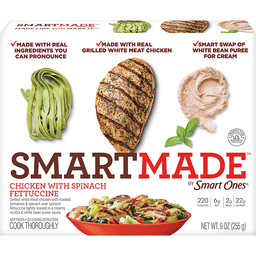 Smart & delicious meals inspired by your smart cooking methods. Excellent source of protein. Our SmartMade Promise: Made the way you do at home. Made with real ingredients you can pronounce - no artificial flavors or preservatives. Made with cooking techniques that bring more flavor to food - like grilling and roasting. Made with smart ingredient swaps that do not compromise taste. SmartMade is committed to providing the highest quality experience with our products. We welcome your comments. Please have the package with you when you call. Phone us 1-800-762-0228, Monday-Friday. Write us: Kraft Heinz Foods, Consumer Affairs, PO Box 57, Pittsburgh, PA 15230. 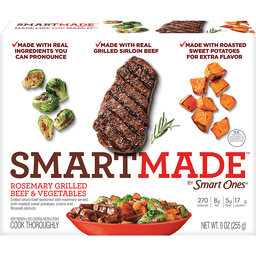 Visit us online www.SmartMadeMeals.com. 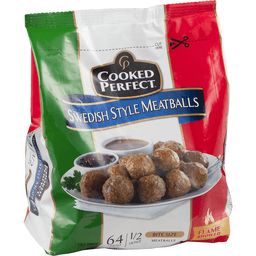 Cooked Perfect® Bite Size Meatballs Swedish Style. New look! Fully cooked. U.S. Inspected and Passed by Department of Agriculture. Est. 2727. 52 count (approx). 1/2 ounce. Flame broiled. Net wt 26 oz (1.6 lb) (737g). Cooked Perfect® is a registered trademark of Home Market Foods, Inc. www.cookedperfect.com. 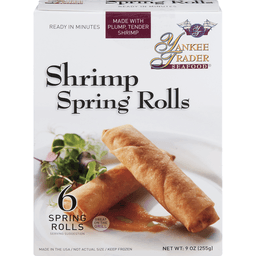 Yankee Trader Seafood® Shrimp Spring Rolls. Ready in minutes. Made with plump, tender shrimp. Great on the grill. Enjoy a delicious combination of flavors: plump, tender shrimp, roasted corn, vegetables, a special blend of tangy cheese and spices all wrapped up in a crispy, golden spring roll wrapper. The small town of Cohasset, Massachusetts still talks about Gerry McAdams seafood dishes. Today, his daughters, Stephanie, Lisa and granddaughter Emma still follow his original recipes that have made Yankee Trader Seafood a trusted family name in New England kitchens with a loyal following up and down the East Coast. www.yankeetraderseafood.com. Blake's Gluten Free Chicken Pot Pie. Since 1929. Made with organic vegetables and a sweet cornbread crust. Gluten free. Made with white meat chicken. Chicken raised without antibiotics**. Inspected for wholesomeness by U.S. department of agriculture. P-4729. Net wt 8oz (227g). Inspired by: Lucy (5th generation). All natural foods. Gluten-free comfort. Easy as pie. At last! A truly authentic comfort food favorite prepared from scratch and gluten free! Our gluten-free chicken pot pie features white meat chicken, organic vegetables, organic potatoes, and an organic sweet cornbread crust. 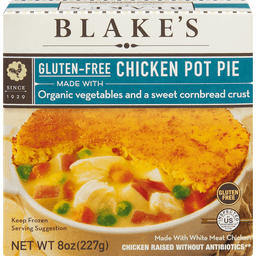 Now everyone can enjoy the authentic taste of a made-from-scratch Blake's chicken pot pie! Every Blake's meal is made completely from scratch in small batches using the finest organic and natural* ingredients. So leave the cooking to us and enjoy some time with the ones you love. No antibiotics used**. 0 grams trans fat. Fed no animal by-products**.No artificial colors. No artificial flavors. *Minimally processed. No artificial ingredients. 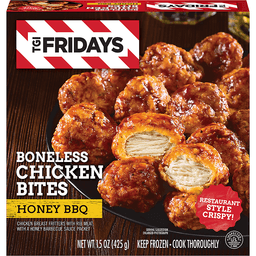 **Chicken raised without antibiotics or animal by-products. Certified organic by NH Dept. of agriculture, Markets and Food. blakesallnatural.com. Tempeh with roasted tomatoes, zucchini, kale & brown rice in a lemon oregano sauce. New! Since 1979. 10 g veggie protein per serving. Certified vegan. vegan.org. NSF: Certified gluten-free. GMO free. Making deliciously easy plant-based foods since 1979! Plant protein sources like soy, legumes and quinoa, are complete protein and contain all nine essential amino acids. That means there's no difference between these protein sources and animal protein! 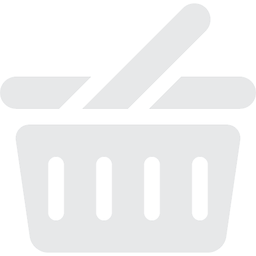 Visit Lightlife.com to find all of our products in the store where you shop. We began in Western Massachusetts in 1979 with a passion for creating great tasting vegetarian food. Over the years, we have grown by sticking to our roots - quality and care in everything we make. Today, our mission is to make eating better more accessible and deliciously easy, because the more people love our food, the more good we can do together. 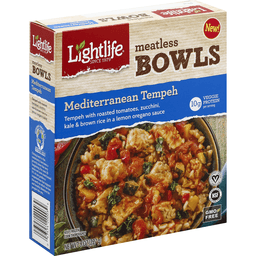 Visit lightlife.com to view our full line of plant-based products. www.lightlife.com. Facebook. Twitter. Instagram. Pinterest. 100% recyclable carton. Giving Back 5% Since 1979: Giving back to the community has been a priority since the very beginning. For over 35 years we have contributed 5% of our profits to organizations that support the earth on which we live and healthy lifestyles for people like you. Toll-free, M-F, 9-5 EST 1-800-769-3279. With marinara sauce, carrots and zucchini. USDA organic. Certified gluten-free. This product is certified paleo friendly. US inspected and passed by Department of Agriculture. Simple ingredients, refined flavor. If you drive east from downtown Austin you'll find the 1920's bungalow that we call home. If you roll down the window you'll smell the soul of our city and feel the burn of artisans forging their livelihoods out of passion and hard work. People that care about who they are, what they do, and how they do it - people like you. You're reading this label because you share our hunger for the simple ingredients and passionate people that make great food. That makes you a Beetnik, and we appreciate your patronage. 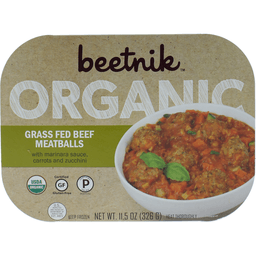 Made with organic grass fed beef, raised without hormones or antibiotics. Certified organic by ASCO. Certified gluten free by The Gluten Free Certification Organization. Find us (at)BeetnikFoods. Facebook. Twitter. Our unique sleeve design not only reduces the paper needed for our packaging but is made with 100% recycled materials. Please recycle this package. Made in America.